The most recent Mindless Self Indulgence album for me was underwhelming. It lacks a lot of the punch that previous albums had, and also felt overall a lot, I dunno, softer perhaps? Compared to their previous stuff. I also felt that they lacked in ideas somewhat. 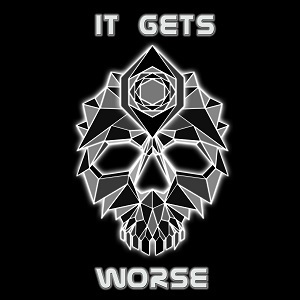 What we have here in "It Gets Worse" however is pretty much like a "best of MSI" in one track. It has their tasteless, funny and silly lyrics that are going to be misinterpreted by the wrong people, it has their really cool and unique electronic/metal/punk hybrid sound and most importantly it's as catchy as hell. Mindless Self Indulgence for me last decade were a band that I thought were going places. They honestly sound like no one else on the planet. I don't know if it was complacency, going in the "wrong" direction in targeting emo and post punk teenagers as their nuance audience or just that they're too unique that they just can't get enough mainstream attention. But I was wrong when I predicted them to be one of the bands to look out for in this decade, last decade. That's a shame, because they're still an excellent band and if you've not heard them before, this is definitely a key track to get started with. Here's the video if you want to hear it! If you missed #31 go here. For the latest updates on my work, including all my latest radio shows, follow me on Facebook and Twitter here!